I really like the idea of Bon Appetit’s Healthyish column because, as I’ve mentioned before, a healthy diet isn’t about bland deprivation. However, a recent column made my blood boil. I knew that nothing good would come from reading a column titled: How a Food Critic Does a Juice Cleanse but like a moth to a flame I just couldn’t help myself from clicking on the link when it appeared in my inbox. It was even worse than I imagined. I can understand the difficulty that a food critic would have maintaining a balanced diet. Travelling can do a number on even the most conscientious eaters with the large portions at restaurants and the often insufficient quantities of vegetables, particularly in the States. It must be even more difficult for a food critic who has to sample many dishes and courses. That being said, the article should have ended mid-way through the first sentence: “Step 1: Don’t do it unless you have to” should have read: Don’t do it. Probably not enough words for SEO, but a much better message. Initially I was pleasantly surprised to see the author, food critic Andrew Knowlton write: “Yes, I’m aware that pretty much every dietician says that juicing is not good for you.” Okay, good, he misspelled dietitian but at least he’s acknowledging that the profession devoted to nutrition and helping people make good food choices is opposed to juice cleanses. Sadly, it was all downhill from there. It’s not that Knowlton chose to torture himself by consuming only juice for five days. Yes, I think that’s foolish, unhealthy, and unnecessary, but he’s an adult and can make his own decisions. It’s that he did this in front of his daughters. This honestly enraged me. Children learn from what they see others doing and their parents are usually their most powerful role models. Yes, Knowlton continued to cook bacon and actual food for his daughters but they saw him subsisting off juice. What message is that giving them? It’s teaching them that this is normal adult behaviour. That we can’t be healthy by consuming whole foods. That when we believe we’ve overindulged the solution is to starve ourselves. That diets, disordered eating, and self-inflicted punishment are synonymous with health and virtue. That is not a healthy message to be teaching children. Regardless of what Knowlton is telling his girls, actions speak louder than words. He may well be telling them to eat balanced meals and whole foods but if he’s doing that while sipping on a beet-ginger juice the juice is going to speak louder than the words. If I may be so bold, I’d like to propose a rebuttal column: How a Dietitian Does a Juice Cleanse. Step 1: Don’t do it. Tags: Andrew Knowlton, bon appetit, Bon Appetit magazine, cleanse, detox, dietitian, food critic, healthy eating, juice, juice cleanse, parenting, role model | Permalink. When it comes to lunches do parents always know best? A few months ago a study claimed to show that school lunches (in the US) were healthier than lunches brought from home. At the time, I considered blogging about it but I really wasn’t sure what to say. It’s such a problematic subject. However, when I came across this article I knew that I had to comment. Upon the line requesting a parental signature, the father wrote “request declined”. The father also states that his daughter did not have four chocolate bars, rather, she had three squares of dark chocolate (two of which were for others). He also denied that she had any Ritz crackers, stating that she had some lunch meat. Because that makes this packed lunch oh so much better. I understand parents desires not to allow schools and dietitians into their children’s home made lunches. I know that if I had children I would feel much better sending them to school with packed lunches than allowing them to eat the school lunches at which pizza has magically become a vegetable. My concern with the first study is that it’s very difficult to quantify lunch quality. I’ve worked with school boards and teachers to implement provincial school nutrition policy and I’ve had concerns with such policies. There is something wrong with a chocolate chip granola bar meets school standards, but the same brand of bar with added almonds fails to meet the policy due to excessive fat content. When policies present with issues such as this, I wonder how much healthier the school lunches truly were. If children are bringing lunches which are mostly nutritious but contain one treat would this automatically doom them to failure in comparison to the school lunches? Are the packed lunches consisting of chips and candy skewing the results in the favour of the school lunches? If students dislike the school lunches and don’t eat them, should they still be concluded to be more nutritious than home made lunches? The issue of the father refusing to sign off on the request that his daughter bring “a proper lunch” is another matter. The teacher who sent the note certainly overstepped his or her bounds. However, a lunch consisting of chocolate, marshmallows, lunch meat, and pickles is certainly not a nutritious balanced meal. I’ve heard stories from teachers in which parents are sending young children to school with large bags of chips and king-sized chocolate bars for recess, with more of the same for lunch. Part of the problem with the angry dad story is that he’s allowing his young daughter to pack her own lunches. As independent as she may be, she is clearly not equipped to be preparing her own lunches. Ideally, she would be working with her parents to determine the contents of her lunch bag. No young child should have free reign over their lunch bag contents. But what should be done about parents who pack their children off to school with chips, candy bars, and pop? Anything? I wish I had a good answer. Some parents don’t have the money, time, education, etc to prepare nutritious lunches for their children. 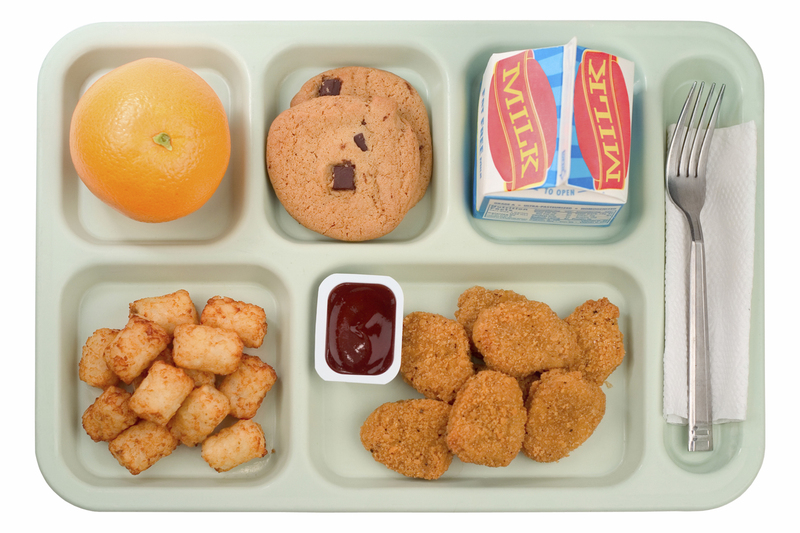 Should we have a mandatory school lunch program for all children who stay at school for lunch? 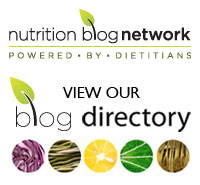 Tags: children, healthy eating, lunch, nanny state, nutrition, parenting, school lunches | Permalink. Have you ever struggled with getting children to eat their vegetables. If you’re a parent, you more than likely have. Parents, parents to be, grandparents, childcare providers, teachers, dietitians, etc. might be interested in learning about a recent study that took a slightly different approach, than the norm, to getting children to eat their vegetables. You’ve probably heard that it can take up to 20 separate attempts to get a child to eat a new food. so far the advice is usually just “keep trying”. I think that it’s also important to get children involved in food preparation whenever possible as their far more inclined to eat something that they had a hand in making. 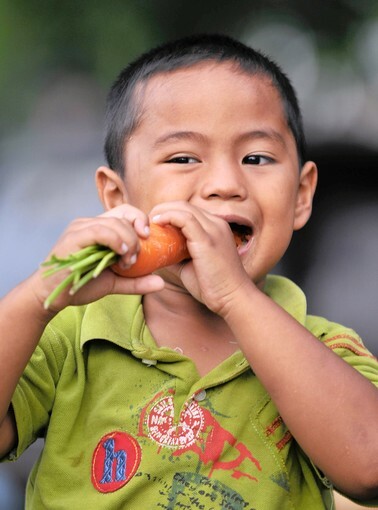 This study looked at using a conceptual framework to get children to eat more vegetables. The researchers hypothesized that children are often more intelligent than we give them credit for and, perhaps, simply telling them to eat their vegetables “because they’re good for them” isn’t good enough. The researchers surmised that if children are taught more specific nutrition information that they’ll be more inclined to eat their vegetables. They had some teachers read nutrition books to their students during snack time. Other teachers conducted snack time as per usual. After about three months it was found that not only did the children being provided with the nutrition education have greater nutrition knowledge than the students who were not provided with the education, they also were voluntarily consuming more than twice as many vegetables as when they started the experiment (the control group did not see a significant change in vegetable consumption). Of course, we don’t know if vegetable consumption changed outside of snack time. Nor do we know if these dietary changes will be sustained. Even so, it’s worth considering teaching children more about food and nutrition, especially if a benefit may be consumption of more vegetables. Tags: children, conceptual framework, education, healthy eating, nutrition, parenting, vegetables | Permalink.